Hello world! All 2 or 3 of you that will read this ;). I'm starting this personal blog because sometimes I have things to say, or pictures to share and I want a place to do it. Also, it's the 21st century and I need to keep up with the times. So why the Hill Country Housewife, you ask? Well, I have a small fascination/obsession with the Real Housewives franchise on Bravo. And- I live in the Texas Hill Country! So there you have it! I'm dubbing myself the housewife of the hill country. If any of you would like to join, we can get together for cocktails and fancy dress parties (no yelling allowed though). I also really need assistance in coming up with my tagline. Suggestions welcomed! I will have to write a separate post on the meaning and story behind this one, because it's a big, life altering story. 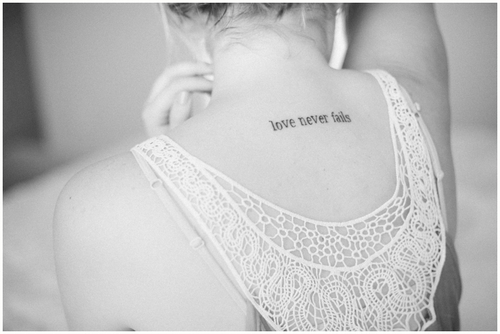 But for now, here is my new tattoo, and following the pictures is the story behind it. Kristi, my sister in law, went with me and we both got tattoos! 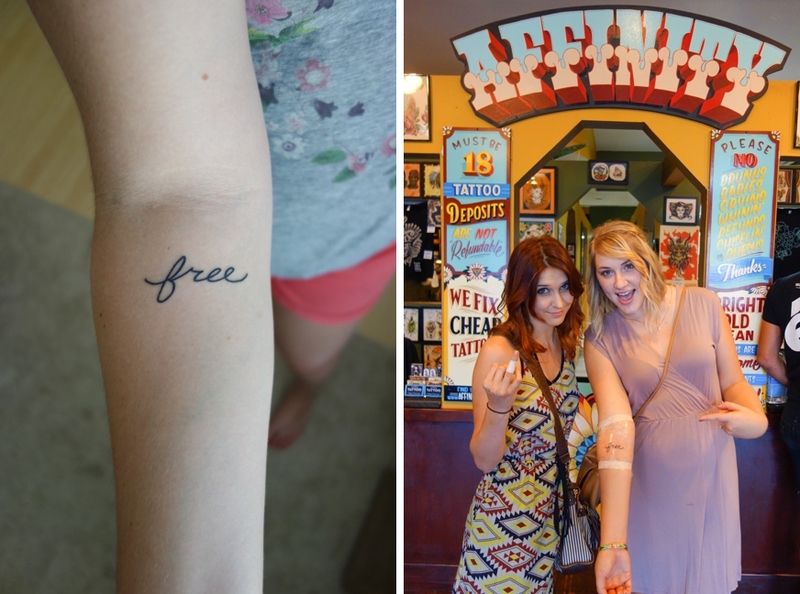 We went to Affinity Tattoo, located on 6th Street in Austin. I would definitely recommend these guys! What does free mean to me? 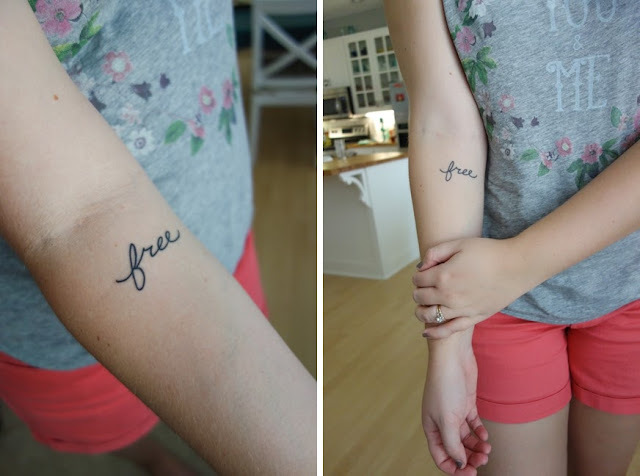 It means I am FREE from anxiety, free from shame, free from pressure (self inflicted and otherwise), free from expectations, free from failure. Why am I free from these things? Jesus. Jesus has saved me from myself. Jesus pardoned my sins so that I can be holy and good in God's presence even when I'm dirty and ugly on the inside. This word free or freedom has been a reoccurring theme in my life over the past year. It's a message that I need to hear constantly. I've had a habit of constantly thinking I'm not good enough, that I can always be doing better. Let's just call it twisted ambition. It's unhealthy and I want to break that pattern in my thoughts. What better way than a daily reminder of what Jesus has done for me and how he views me?